It’s pretty exciting to have a cone of ice cream in the hands during any afternoon of summer. You will surely not like to wait having a bite of it but as soon as you do it, you feel a sharp and throbbing pain in your teeth. While there can be a number of reasons for it but tooth recession is the top one. 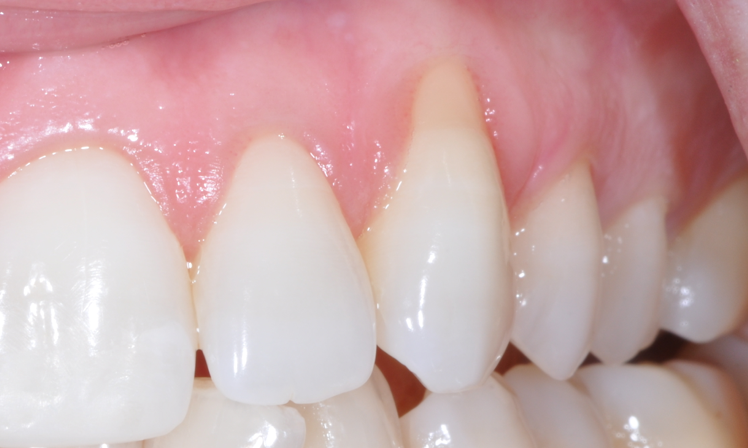 Tooth recession is the dental condition in which gums are pulled away to expose the tooth roots. Since tooth root is not covered by hard enamel, hot and cold temperatures find no resistance in reaching the inner part of tooth. In case there is a gum disease, inflammation occurs as a result. This inflammation further results in the destruction of fibers which attach gums with the teeth. A special instrument ‘probe’ is used for the measurement of progress the disease has made. The loss is measured in millimeters. A figure of 3 millimeters or more suggests that the gum disease has begun. Not attending this problem carefully can lead to further recession. Aggressive brushing is another reason for the tooth recession. Smoking is also dangerous because it can result in inflammation in gums. Crowded teeth and teeth grinding are additional reasons which can result in tooth recession. Prevention is the best way you can treat tooth recession in the early stages. At home, you will have to make sure that you are using soft-bristled toothbrush. While brushing, make sure that you are brushing with an application of mild force in order to avoid any kind of trauma. Moreover, you need to quit smoking of using tobacco if you have this habit because tobacco can be pretty disastrous for teeth, gums and entire oral cavity. You also need to get treated for tooth recession by your dentist. The dentist may have a plan to deal with your condition even if it is progressed to an advanced level. Therefore, you have to make sure that you visit your dentist biannually.